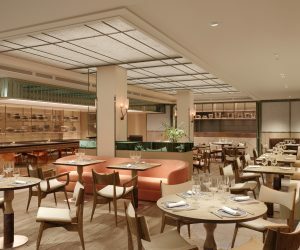 Tamarind Mayfair opens next month after after an eight-month re-build. Furthermore, there will be two exceptional, newly appointed Executive Head Chefs at the helm, Karunesh Khanna and Manav Tuli. Karunesh was the opening Head Chef of Michelin-starred Indian restaurant Amaya in Belgravia in 2004 and has headed up its revered kitchen for the last 13 years. Manav was formerly Head Chef of the legendary Chutney Mary from 2012 and was subsequently launch Head Chef when the restaurant moved from Chelsea to St. James’s. Now these two supremely talented cooks will come together to create a completely new food offering for the opening of Tamarind Mayfair.